In the throes of a quarter-life crisis, Jiminy Davis abruptly quits law school and flees Chicago for her grandmother Willa's farm in rural Mississippi. In search of peace and quiet, Jiminy instead stumbles upon more trouble and turmoil than she could have imagined. She is shocked to discover that there was once another Jiminy--the daughter of her grandmother's longtime housekeeper, Lyn--who was murdered along with Lyn's husband four decades earlier in a civil rights-era hate crime. With the help of Lyn's nephew, Bo, Jiminy sets out to solve the cold case, to the dismay of those who would prefer to let sleeping dogs lie. 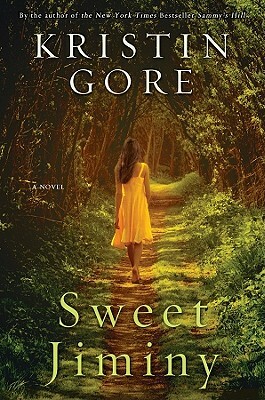 Beautifully written, and with a sure grip on the tensions and social mores of small towns in the South, Sweet Jiminy will captivate its readers, and fans of Kristin Gore's earlier novels will be intrigued and compelled by this new direction for her fiction. Kristin Gore is the author of two previous novels, the New York Times bestseller Sammy's Hill and Sammy's House. She has also written for several television shows, including Futurama and Saturday Night Live, for which she received an Emmy nomination and a Writer's Guild Award. She has several screenplay projects in development. She lives in New York City.